Modders-Inc. is a trove of reviews, how-to guides, news, software, and everything else a modder or wannabe might need. 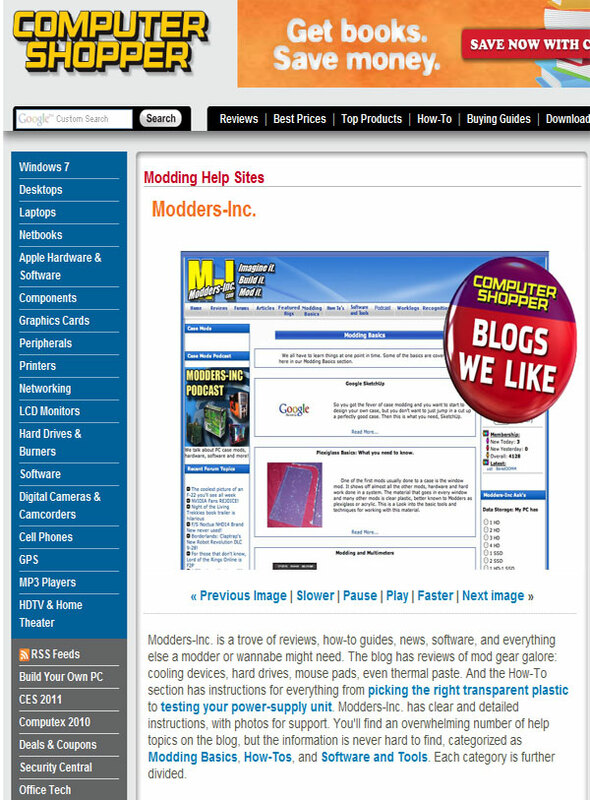 The blog has reviews of mod gear galore: cooling devices, hard drives, mouse pads, even thermal paste. And the How-To section has instructions for everything from picking the right transparent plastic to testing your power-supply unit. Modders-Inc. has clear and detailed instructions, with photos for support. You'll find an overwhelming number of help topics on the blog, but the information is never hard to find, categorized as Modding Basics, How-Tos, and Software and Tools. Each category is further divided.